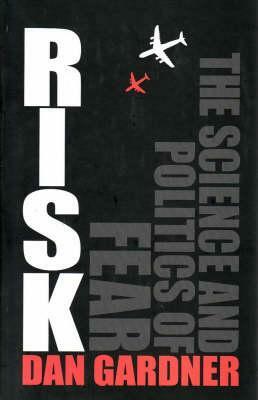 In the tradition of Malcolm Gladwell, Gardner explores a new way of thinking about the decisions we make We are the safest and healthiest human beings who ever lived, and yet irrational fear is growing, with deadly consequences - such as the 1,595 Americans killed when they made the mistake of switching from planes to cars after September 11. In part, this irrationality is caused by those - politicians, activists, and the media - who promote fear for their own gain. Culture also matters. But a more fundamental cause is human psychology. Working with risk science pioneer Paul Slovic, author Dan Gardner sets out to explain in a compulsively readable fashion just what that statement above means as to how we make decisions and run our lives. We learn that the brain has not one but two systems to analyze risk. One is primitive, unconscious, and intuitive. The other is conscious and rational. The two systems often agree, but occasionally they come to very different conclusions. When that happens, we can find ourselves worrying about what the statistics tell us is a trivial threat - terrorism, child abduction, cancer caused by chemical pollution - or shrugging off serious risks like obesity and smoking. Gladwell told us about ‘the black box’ of our brains; Gardner takes us inside, helping us to understand how to deconstruct the information we’re bombarded with and respond more logically and adaptively to our world. Risk is cutting-edge reading.